Office will be closed on Friday at 5:30 the 19th of April in observance of Good Friday. We will resume normal business hours on Saturaday the 20th of April. Our office will be closed on Sunday the 21st of April in observance of Easter. We will resume normal business hours Monday the 22nd. 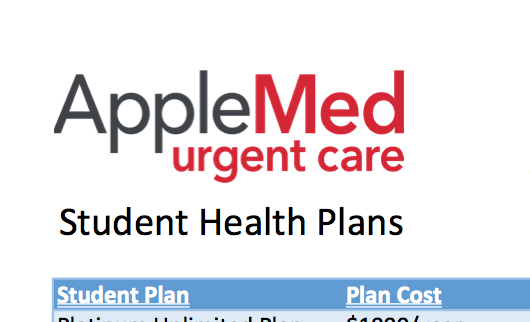 We are now offering a Student Health Plan. Interested in learning more? Give us a call at 914-231-7111. 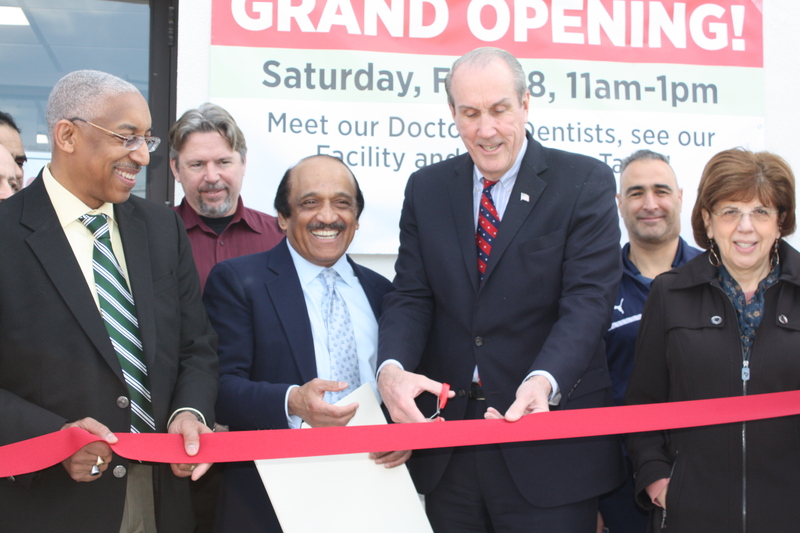 Thank you for coming out to our Grand Opening! We feel truly welcomed by the Villages of Tarrytown & Sleepy Hollow. 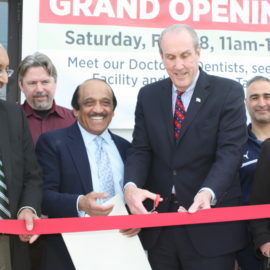 Stop by anytime to meet our doctors and see our newest state-of-the-art facility offering walk-in medical and dental care in downtown Tarrytown. 131 Central Avenue, corner Wildey Street. 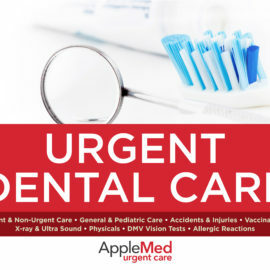 Urgent & non-urgent Dental Care NOW available in our Tarrytown location! Winter Hours: Monday, Wednesday, Friday from 12pm - 7pm. We believe that no patient should suffer from dental pain. Walk-ins welcome, or make an appointment. Visit our 'Services' page for more info. 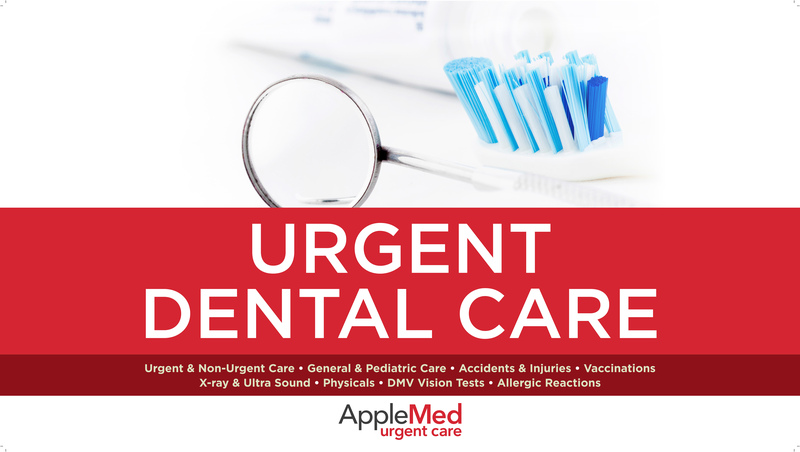 AppleMed Urgent Care provides upscale medical care that is skilled, prompt, personal and available when you need it. We have families and busy lives just like you do! We will take the time to listen, as you meet our accomplished doctors, medical assistants, and technicians -- all trained in urgent care. 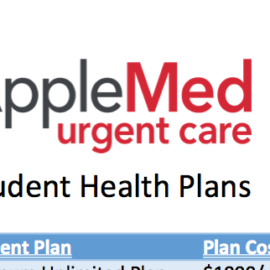 AppleMed Urgent Care is all about getting to the heart of the matter. We provide high quality, cost-effective medical care for patients of all ages who are treated by a medical staff that knows how to communicate and listen.